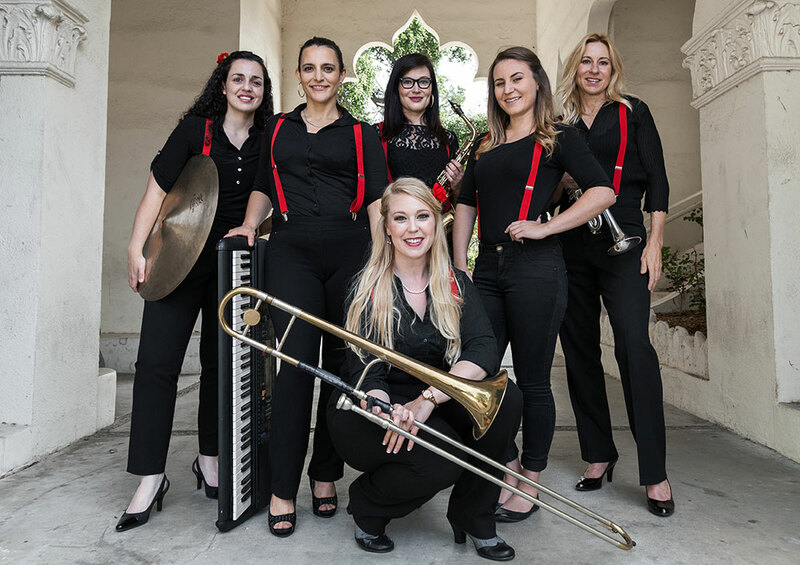 The Lady Lucks are a new group, formed in March 2017, but these ladies can swing and have proved it! They’ve played on TV, film and large venues, including the Hollywood Bowl, Grand Performances, Rusty’s Rhythm Club, Santa Monica’s 100 Anniversary Celebration, Veteran’s Day Celebration in Coalinga, CSUN’s Veteran’s Resource Center’s 5th Anniversary and more. Validated parking will be provided in the Kings Road parking structure at Santa Monica Blvd and Kings Road.